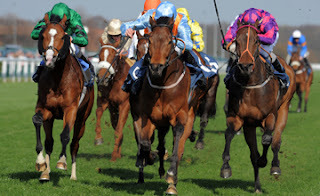 Newmarket's Craven meeting is when the flat season starts to get into the swing of things & Thursday sees the Craven itself plus another pattern race in the Group 3 Earl of Sefton stakes over 9 furlongs, it's this race that sees what could be an early betting highlight of this flat season. 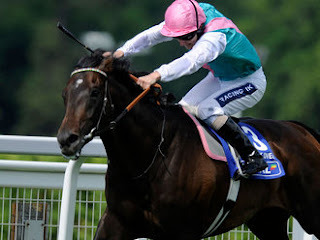 Twice Over is one of the top horses in training, Timeform has Henry Cecil's 7 year old entire rated as the 14th best over all distances in the world & for there to be odds of 11/8 available for the four time Group One winner here is quite astonishing. The opposition here is reasonable for a Group 3 but nothing of the calibre that should be able to hold a candle to Twice Over, the next highest rated is Ransom Note who is rated 9 pounds inferior yet has to concede 5 pounds of weight to his rivals thanks to the conditions of the race. Twice Over easily defeated Ransom note at York last year & that was with him conceding 3 pounds, with an 8 pound swing in the favourites favour there should be little to fear from Charlie Hills' runner. Penitent & Questioning finished 1st & 2nd respectively in the Doncaster Mile a couple of weeks back & so at least have race fitness on their side, we'd be happy to take Questioning in a match bet between the two but both would need much improvement to beat Twice Over. In fact the only worry we have with the selction is that this is his seasonal debut & he's been beaten in the race before back in 2009, Cecil appears to have his string in fine order though with 3 winners from 9 runners so far & Twice Over has won on three occasions after a 60+ day break & also on debut so can go well fresh. We've no qualms about advising a maximum sized bet on Twice Over to win here, he's far superior to the opposition & breaks don't tend to harm his chances too much, get your money on at 11/8.